How Grabhouse made it easier to grab a house on rent without any broker in between? Grabhouse connects room seeker with the provider. So if you have a room and want some mates to share your loneliness and expenses, then you can enlist your room on the website along with your requirements, likes and dislikes. Similarly, people searching for rooms can register themselves under the Room Seeker’s profile on the site. Why we choose Grabhouse as Startup of the Week? • Grabhouse is the first 100% broker-free house renting platform which is trying to eliminate the brokers from the complete experience of renting a house in a city. • The company helpsthe users save time, money and effort by solving the problems faced through high-end technology. • Over 10 lakhs customers served, covering 30 thousand locations and saving over 10 crores of brokerage. • The startup also provides on-ground assistance well after the lead generation, for a nominal fee. • Grabhouse differentiates by not only focusing on finding properties, but also providing follow-up services to make it easier to move in, like cleaning, painting, and utilities setup. • Grabhouse takes a zero-tolerance approach to real estate agents, which the company claims protects owners and prospective tenants and saves them money. • Grabhouse claims that 2,000 listings go live on its site every day and that it has already closed 50,000 properties. • Grabhouse so far has collected total venture capital of about $13 million. • Over 2 lakhs fan followers on Facebook gives an insight view of the popularity of Grabhouse. 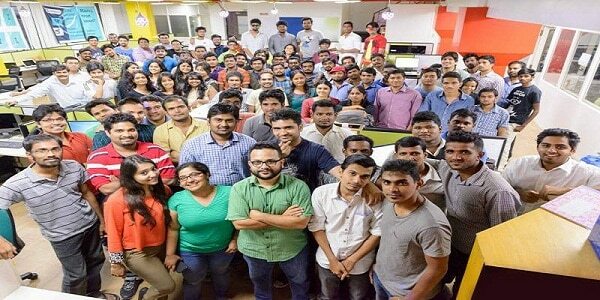 [su_box title=”More startup of the week choosen by DSIM:-” box_color=”#c7c7c7″ title_color=”#000000″ radius=”5″] 1) How UrbanClap became India’s largest mobile-based services marketplace? Pankhuri Shrivastava, after completing her B.Tech from Rajiv Gandhi Technical University, joined Teach for India in the fellowship program for 2 years. She was then 22, and like many others, could not afford a flat on rent in Mumbai on her own. She was looking for a shared accommodation and a landlord who could be trusted. Originally from Jhansi in Uttar Pradesh, Pankhuri was suspicious of the unknown people in the surrounding metropolis. But also these fears were not without reason. She had to change five houses in two years. That experience did not go in vain though. Pankhuri met Prateek in Mumbai and the problem of finding a good accommodation usually cropped up in their discussions.After two years in Mumbai, in 2013, Pankhuri founded Grabhouse along with co-founder Prateek Shukla to help consumers find houses without the involvement of brokers. The startup also provides on-ground assistance after the lead generation, for a nominal fee. However, when the venture was founded, it was more of a matching service for probable flat mates and landlords, born out of Pankhuri’s personal experiences. The site only accepts listings directly from property owners, who aren’t charged unless they close a rental through Grabhouse. It is now available in 11 cities including Bengaluru, Mumbai, & Delhiand recently has closed $10 million in Series B round of funding from returning investors Sequoia Capital and Kalaari Capital. Along with a $2.5 million funding in Series A raised from the same firms just eight months ago and a small seed fund from India Quotient in January 2014 brings Grabhouse’s total venture capital so far to about $13 million. Grabhouse claims that 2,000 listings go live on its site every day and that it has already closed 50,000 properties. The startup competes with the gathering of other sites, like Housing, PropTiger, and CommonFloor, which are noteworthy venture backed, but Pankhuri says about Grabhouse that Grabhouse differentiates by not only focusing on finding properties, but also providing follow-up services to make it easier to move in, like cleaning, painting, and utilities setup. Grabhouse, on the other hand, takes a zero-tolerance approach to real estate agents, which the company claims protects owners and prospective tenants and saves them money. Pankhuri says brokers often act as “gatekeepers” for the property information, charging large fees solely for access to landlord contact information. Before launching, Grabhouse collected public contact information for more than 80,000 real estate brokers and blocked their emails and phone numbers (which are required to create listings) from the site. If agents manage to post listings, users are encouraged to report them. Growth of the company is pretty surprising since the company’s evolution was from 2 to 20 members in the first year and from 20 to 300 members in just the next span of year. At present, Grabhouse has managed to serve more than 1 million customers covering 30 thousand locations. The team of Grabhouse has been able to contact over 5 lakhs owners to serve the customers and doing so, the company has saved more than 10 crores of brokerage till now. These stats is quite enough to tell the increasing popularity of the business model which they are offering. Grabhouse already operates in 11 cities of India’s busiest real estate markets, including Bengaluru, Mumbai, and Delhi. Instead of launching in more places, Pankhuri has plans to get deeper into each of its current markets. The startup has plans to launch a mobile app in the near future and leverage the power of social media. Grabhouse will use social media not only for marketing but for connecting individuals. So they will not reveal the contact details of an individual; but instead will connect people to each other through messaging service available on the site.